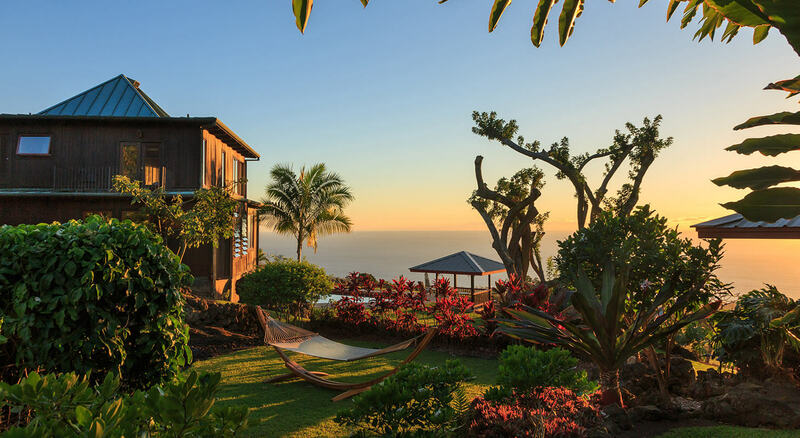 Located on the slopes of Mount Hualalai, in the heart of the Kona Coffee belt, lies our romantic and relaxing inn. 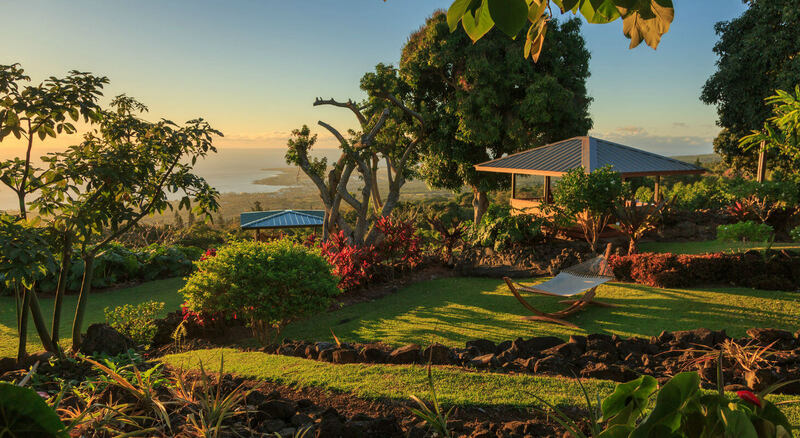 Our Big Island bed and breakfast is not just an “accommodation,” it is an extraordinary Hawai’ian experience which epitomizes the spirit of Aloha! Our Inn features finely appointed accommodations, including four romantic guest rooms and two suites. For more privacy, we also offer two stand-alone units; our historic Darrell Hill Cottage and our newly-renovated Red Barn. 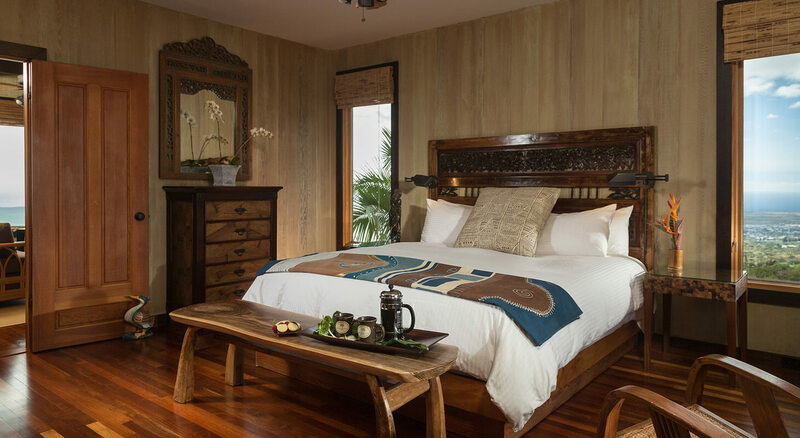 Each room has its own distinct style, yet they all feature comfortable sitting areas, private baths, exquisite design detail, original artwork and charming amenities. 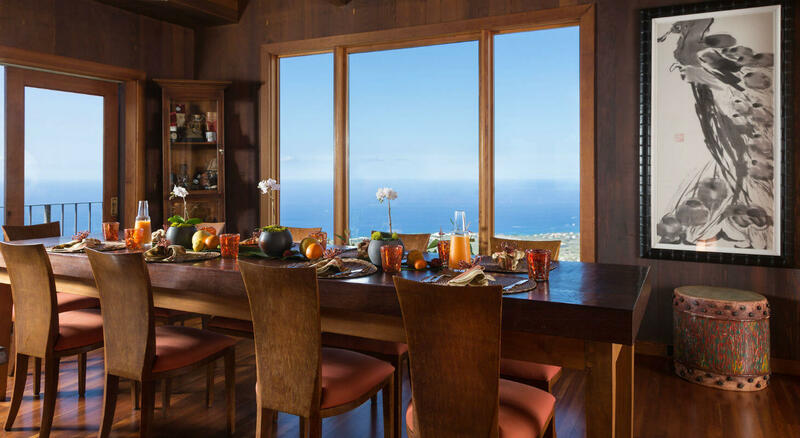 At 1,400 feet, sweeping ocean views frame every corner of the Estate. 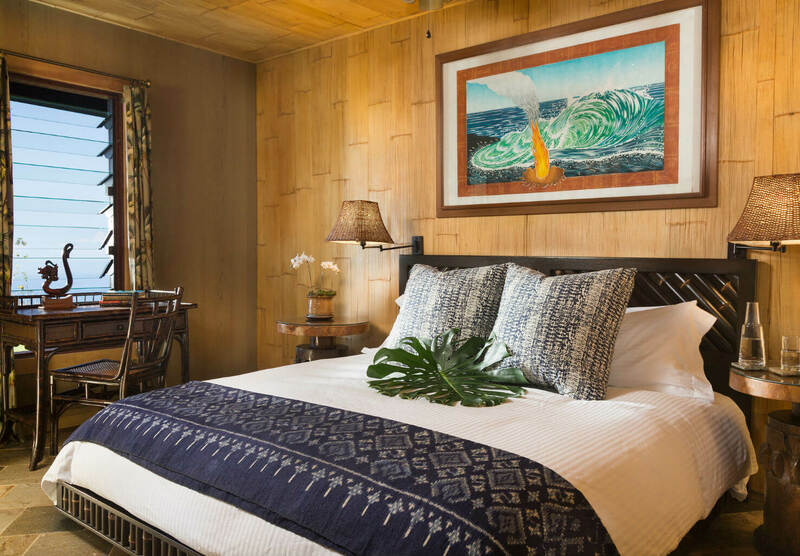 Explore the open-air floor plan of the main house where furnishings, décor and art from across the pacific offer an inviting style of Polynesian elegance. 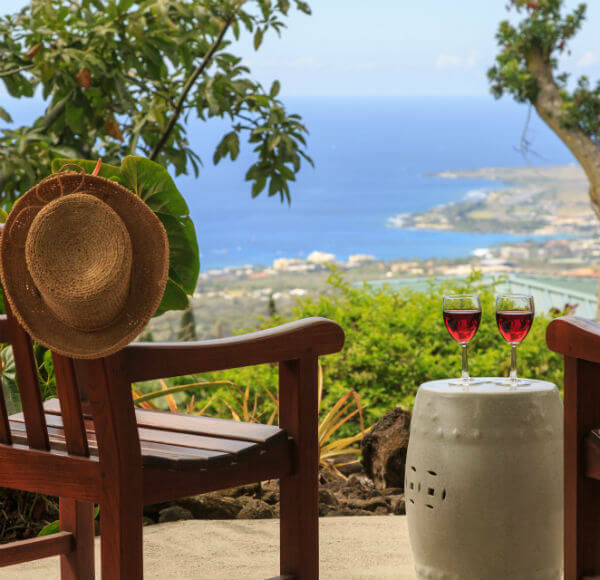 Find a magical nook, veranda or gazebo around every corner. 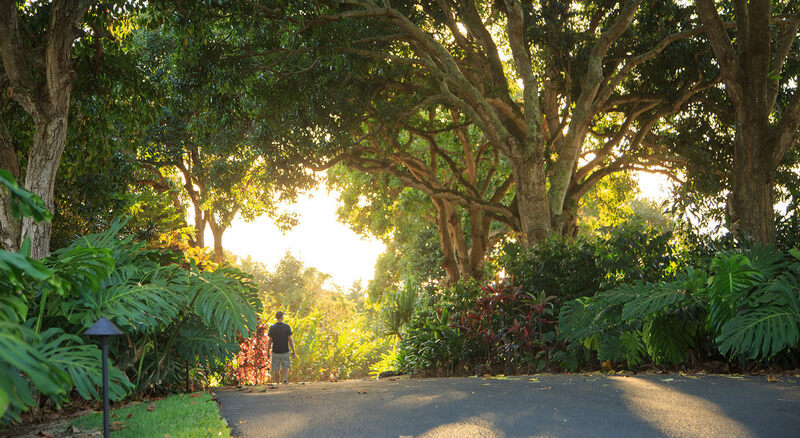 Outside, the land entices guests to explore the immaculate gardens and walking trails. 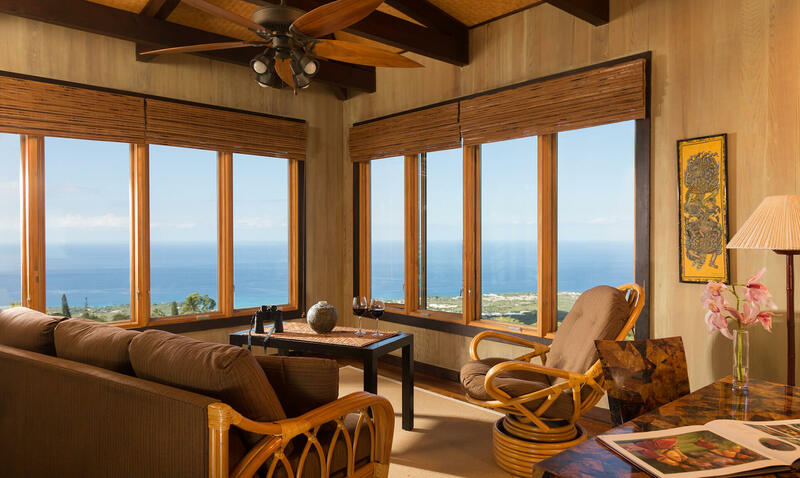 Holualoa Inn is an ideal location for those seeking tranquility and a “Zen” experience. 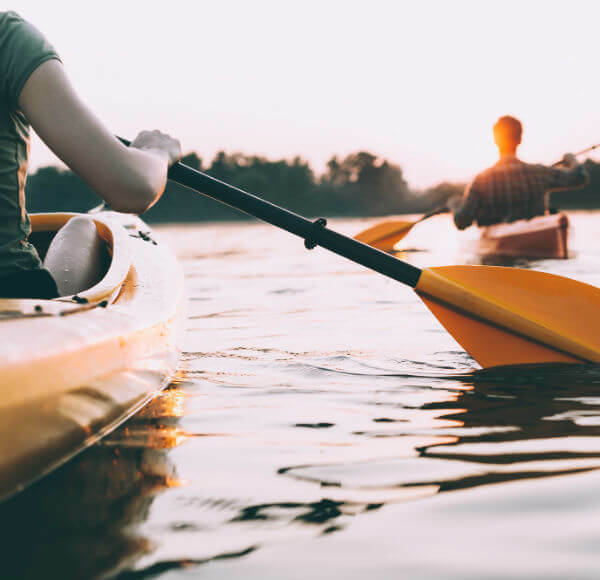 Our bed and breakfast is just minutes from the pristine beaches and activities of the Kona coast as well as the shops, galleries and restaurants of our quaint village, Holualoa. 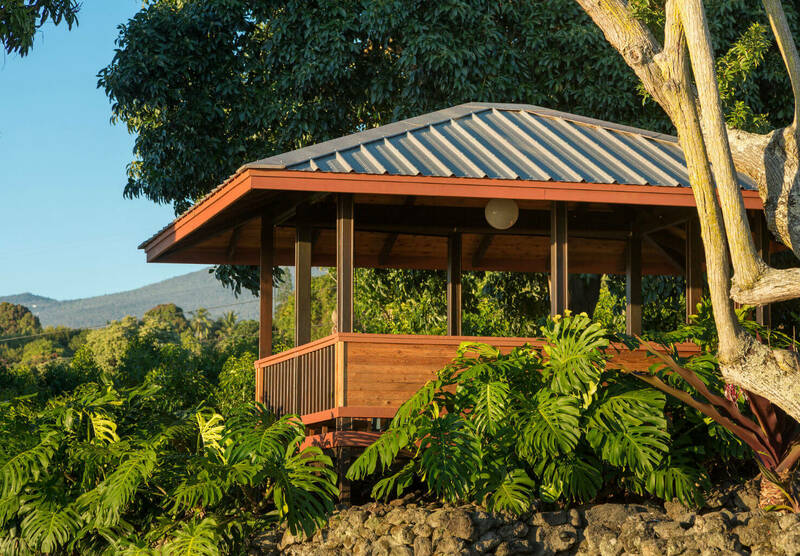 Mornings at our Big Island retreat are a wonderful experience with views of 4,100 coffee trees, rich pasture land and enchanting tropical flora and fauna. 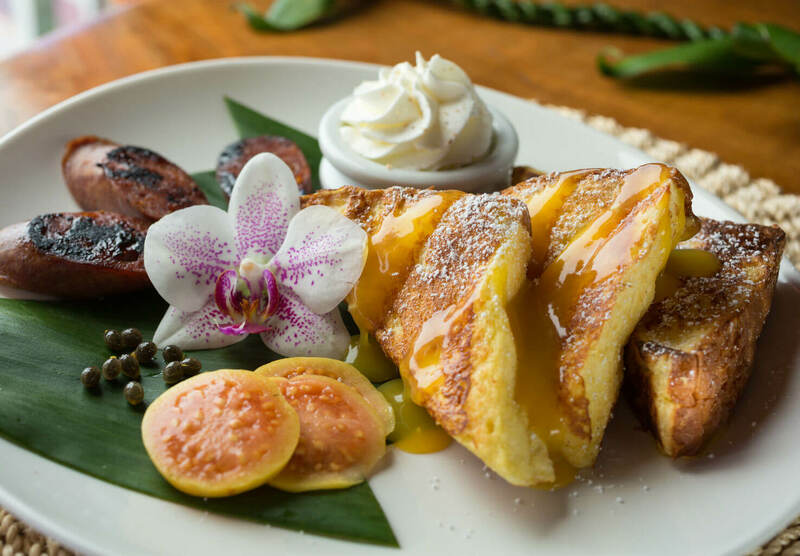 Enjoy sumptuous breakfasts crafted with gifts from our surrounding gardens, our 100% estate brewed Kona coffee, and homemade sweets every afternoon. We invite you to savor the bounty of our land! Breathe and renew your senses…enjoy a 60-minute private yoga lesson in any one of our Zen gardens and align yourself with nature. Afterwards, enjoy a healthy lunch with a local mixed green salad filled with vegetables and fruits from our gardens, your choice of grilled chicken or fish and a delicious smoothie. Stay a while. Just a little while longer. Spend any 7 consecutive nights or more and receive a discount off your room reservation.